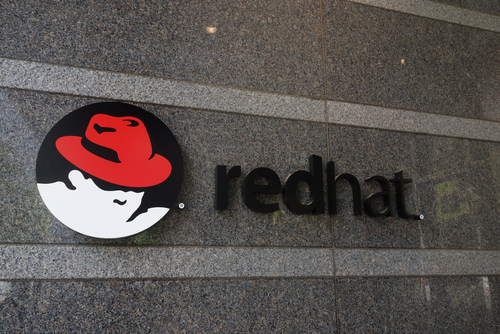 International Business Machines Corporation (NYSE: IBM) announced on Sunday that it will acquire Red Hat (NYSE: RHT) for a transaction valued at approximately USD 34 Billion. Red Hat shares surged at the opening bell on Monday by 50%. Under the agreements, IBM agreed to pay cash to buy all Red Hat shares for USD 190.00 each. Red Hat shares closed on Friday at USD 116.68. IBM said the acquisition will combine two hybrid cloud providers and enable the companies to securely move all business applications to the cloud. The two will look to address accelerate multi-cloud adoption, allowing for faster cloud-native business applications, drive greater portability and security of data and applications across both public and private clouds. IBM and Red Hat will both continue to work on freedom of open source efforts such as Patent Promise, GPL Cooperation Commitment, the Open Invention Network and the LOT Network. Upon closing, Red Hat will join IBM’s Hybrid Cloud team as a distinct unit. IBM will still keep Red Hat’s current product portfolio and go-to-market strategy, preserving its independence and neutrality of its open source development heritage and commitment, according to the release. Red Hat will continued be led by Chief Executive Officer Jim Whitehurst and Red Hat’s current management team. Whitehurst will also join IBM’s Senior Management team and report to IBM Chief Executive Officer Ginni Rometty. IBM will also maintain Red Hat’s headquarters, facilities and brands. The acquisition will accelerate IBM’s revenue growth, gross margin and free cash flow within 12 months of closing. It will also support a solid and growing dividend. IBM intends to suspend its share repurchase program in 2020 and 2021. The acquisition is expected to close in the latter half of 2019. Could a competing bid emerge for $RHT, following it’s announced blockbuster deal with $IBM? $RHT if you played random weekly calls you would be retired now….